A typical dish from Bali is indeed no doubt delicious. 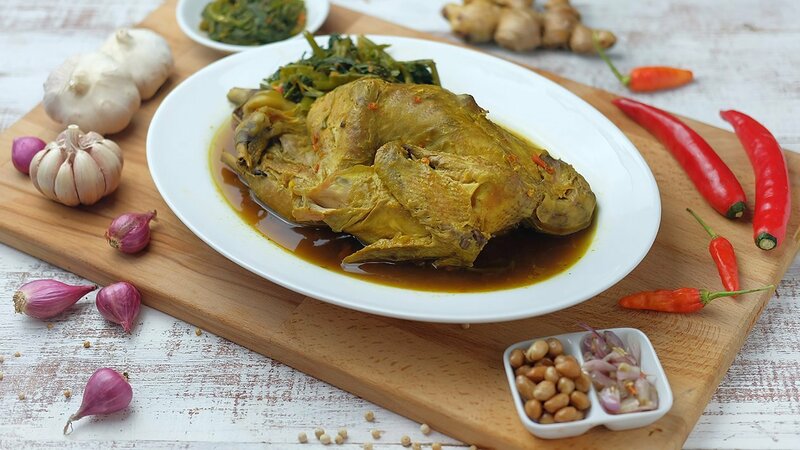 Whole chicken processed with betutu seasoning, boiled until the aroma will invite anyone to taste it immediately. Spread the chicken with Knorr Lime Powder for a few minutes. Then prepare the pan and put in all ingredients including the grinded spices. Cook over a low heat for 1.5 hours. Chop all ingredients, except peanut. Then pour with a little hot oil. Serve chicken betutu with sambal matah and peanuts on it.